Introduction: Life-threatening emergencies may occur in dental practices. The objective of this study was to evaluate knowledge towards basic life support (BLS)/cardiopulmonary resuscitation (CPR) and its practices among dental undergraduate students. 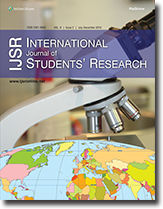 Methodology: An educational intervention study was carried out among 3rd and 4th year dental undergraduate students in an academic hospital located in Vadodara, Gujarat, India. For the purpose of the study, a questionnaire with 18 questions was developed, The intervention was done in the form of training and was divided into theoretical and practical parts. The questionnaire was distributed before and after training. Results: Overall, 93 undergraduate dental students were enrolled in the study. Of these 48 (51.6%) were 3rd year students, while 48.4% (n = 45) were in their 4th year of dental education. A significant difference was noted in the mean pre- and post-training scores on BLS/CPR knowledge amongst the 3rd (5.73 ± 1.94 vs. 12.04 ± 2.14; P < 0.001) and 4th year students (9.24 ± 2.22 vs. 12.56 ± 1.75; P < 0.001). Conclusion: Sensitization in the form of educational intervention led to remarkable improvement in knowledge about BLS/CPR. We report an uncommon case of simultaneous presence of hemophagocytic lymphohistiocytosis (HLH) with Hodgkin's lymphoma and tuberculosis in an immunocompetent male. In the absence of treatment HLH is frequently associated with fatal outcome, although spontaneous partial regression is also noted. The early diagnosis of HLH is critical to prevent end organ failure. 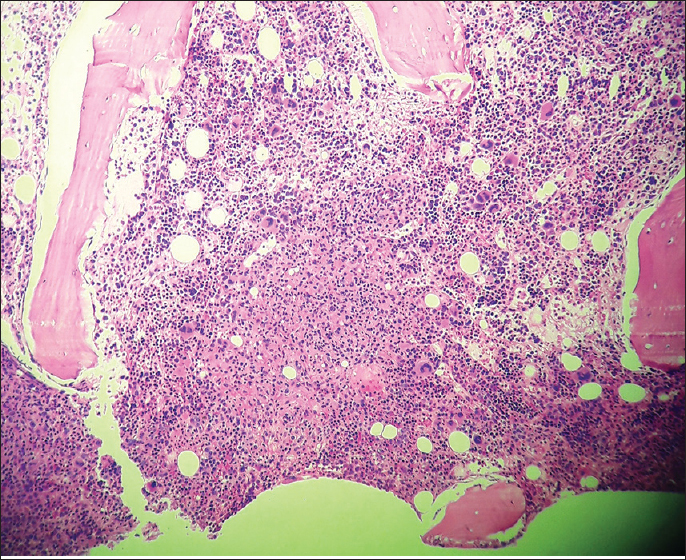 There are defined criteria for diagnosis of HLH but visualization of hemophagocytosis in bone marrow smear or biopsy along with fever, splenomegaly, elevated ferritin & triglycerides and peripheral blood cytopenias are highly suggestive of HLH. The pathologist and clinician should be aware of this uncommon entity so that early diagnosis and institution of therapy can be done to prevent poor prognostic outcome. 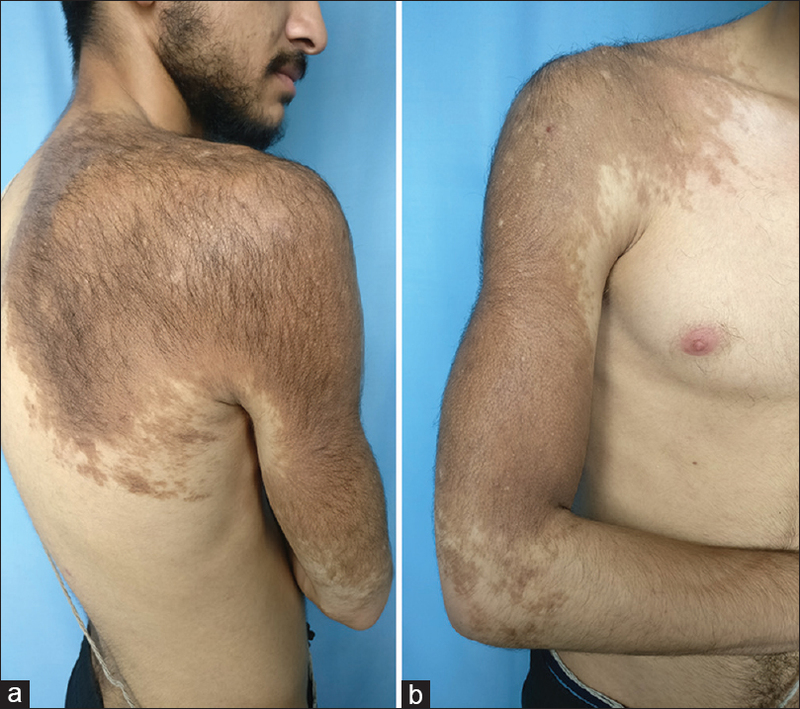 A 22 years old young male, presented with a large hyperpigmented (brown) patch involving the right upper back, right shoulder and predominantly extensor aspect of right arm with hypertrichosis, which started developing about 3 years ago. A diagnosis of Becker naevus was made. It is an androgen dependent lesion, being more frequent in males and mostly appears at or after puberty. No treatment is effective.